This Feb. 19, 2013, file photo, shows OxyContin pills arranged for a photo at a pharmacy in Montpelier, Vt.
A newly unsealed lawsuit by Tennessee's attorney general says the maker of the world's top-selling painkiller directed its salesforce to target the highest prescribers, many with limited or no pain management background or training. 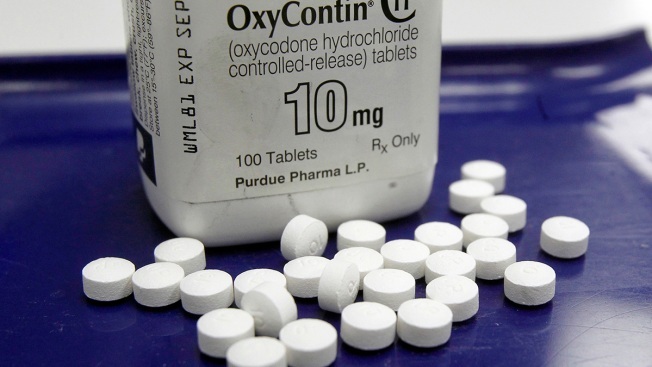 Citing the public's right to know, Attorney General Herbert Slatery said Thursday that OxyContin maker Purdue Pharma has dropped its previous efforts to shield details of the 274-page lawsuit in state court. The Tennessee Coalition for Open Government and the Knoxville News Sentinel had also requested that the lawsuit's records become public. The lawsuit says Purdue violated a 2007 settlement with the state, placing profits over people with a deceptive narrative that claimed its opioids were safer than they actually were. The lawsuit also says the Stamford, Connecticut-based company targeted vulnerable people, including the elderly. Purdue did so while relying on continued users and high doses, according to the lawsuit: 104.3 million OxyContin tablets were prescribed in Tennessee from 2008 to 2017, with 53.7 percent of them 40 milligrams or higher. And more than 80 percent of Purdue's business consistently came from continued users, the lawsuit says. For example, Purdue called on two providers 48 times after law enforcement told Purdue the pair was responsible for significant interstate OxyContin diversion, the lawsuit says. The company called on another provider 31 times after the provider's license was place on restrictive probation related to high-prescribing of controlled substances, the lawsuit adds. The state's lawsuit says Purdue kept pushing to sell its products despite a litany of red flags. "Purdue continued to make sales calls in spite of credible reports of patient overdoses, indictments, adverse licensure actions, a provider admitting he was addicted to heroin, a knife fight outside a provider's office, muggings over controlled substances outside of a pharmacy linked to a specific provider, a clinic that had no examination tables or equipment, an admission by a provider that he was running a pill mill, a provider changing the name of his practice shortly after he was notified of a state investigation into his practice, a patient being coached in the waiting room about how to fill out intake forms, armed guards in provider waiting rooms, high numbers of patients who purchased OxyContin in cash, high numbers of out-of-state or out-of-county tags in providers' parking lots, accusations of insurance fraud, choreographed urine screenings and pill counts, standing-room-only waiting rooms, and additional signs of problematic high volume practices," the lawsuit states. Purdue has denied claims in lawsuits nationwide over the scourge of opioid abuse, saying it will defend itself. In Tennessee, there were 1,631 overdose deaths in 2016, including 1,186 from opioids, according to the state Department of Health. Tennessee filed its complaint last month at the same time Florida, North Carolina, North Dakota, Nevada and Texas brought similar lawsuits claiming unfair and deceptive trade practices.